michael ann made. 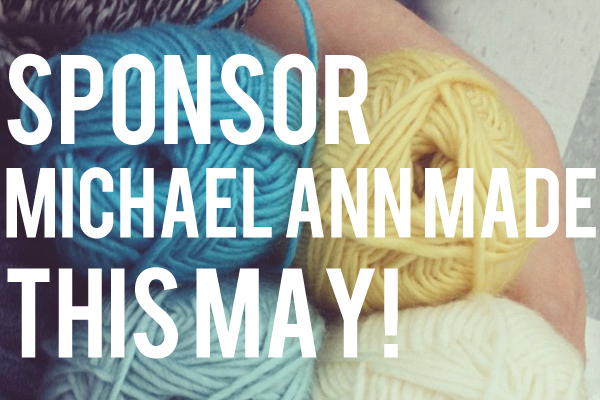 : sponsor michaelannmade for may! hey friends and happy monday! that i still have a few sponsor spots available for may! they will be going up later this week so you still have time to email me, quick! and for free you can swap me buttons for a 100x100 ad space. with 30,000 visits and nearly 50,000 page views for april! means that your little shop or blog could gain some serious exposure by sponsoring! sponsor spot rates will be increasing for june! so this is your very last month to grab a feature for only $5! or check out the sponsor info page for more details.